Storms are coming to the Topend. How much can you afford to lose? 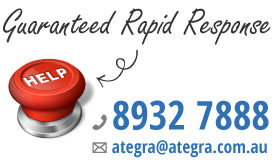 Learn about Ategra's online Backup and Disaster recovery solutions. The internet's down. The Boss has a critical Skype call. Minor annoyance or a seriously bad day? Our clients go to holiday to relax, they don't worry about IT system going down. Do you? The email has stopped working so you call the IT guy. IT guy is your 18yr old nephew at UNI. We are sure it's his top priority. Learn about our IT & Technical support program, Cloud services and Network engineering. Find out more! Does your data backup plan consist of having your fingers crossed? Do you want a technology partner that will act as a trusted advisor and seek to improve the productivity, profitability, and operations of your business through technology? 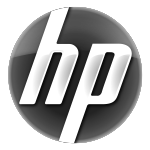 Do you and your staff need to access to your systems wherever you are, whenever you want? You just need someone to help you work out how. We can help. Are you a not for profit or sporting organisations that would benefit from great IT? Apply for a IT Support Grant from Ategra. Have you checked your backups lately? When a critical system goes down it causes stress that you simply don't need. It is a serious pain. Cloud computing is a broad new term which refers to Information Technology resources that are delivered as a service, over the Internet. Are my backups working every day?